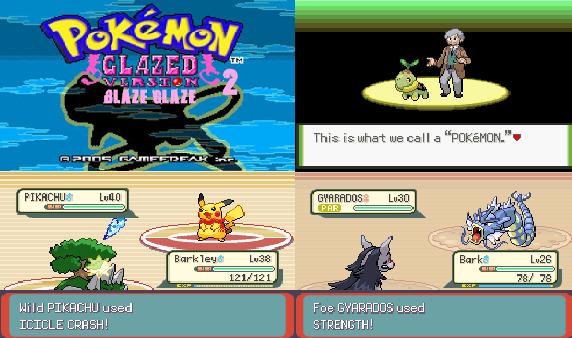 Pokemon Blazed Glazed This is a hack made based on Pokémon Glazed, making some improvements on the table,This hack remains the same in plot and setting as Pokemon Glazed, but the introduction of new elements make it worth a replay or if you haven’t played the former just jump into this one instead. 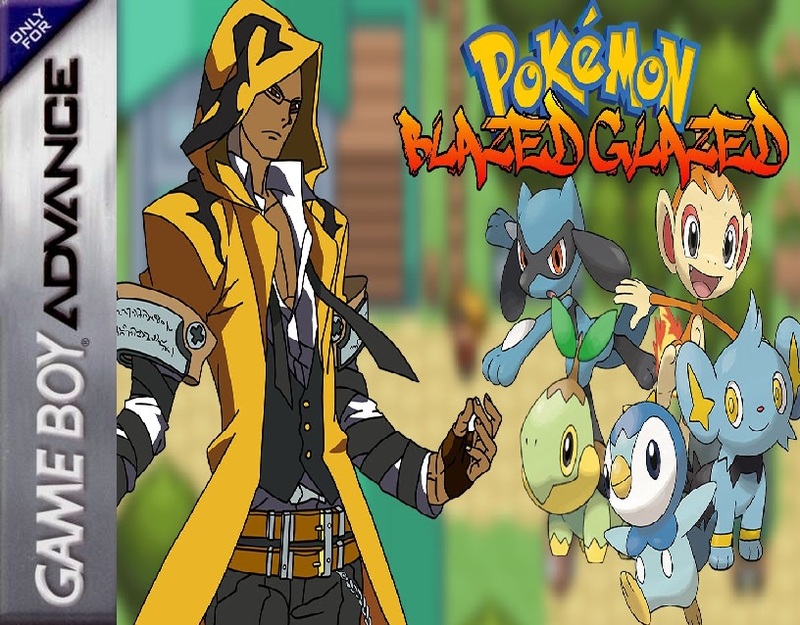 Some trainers and gym leaders changed. initials Turtwig, Chimchar, Piplup, Shinx, Riolu.